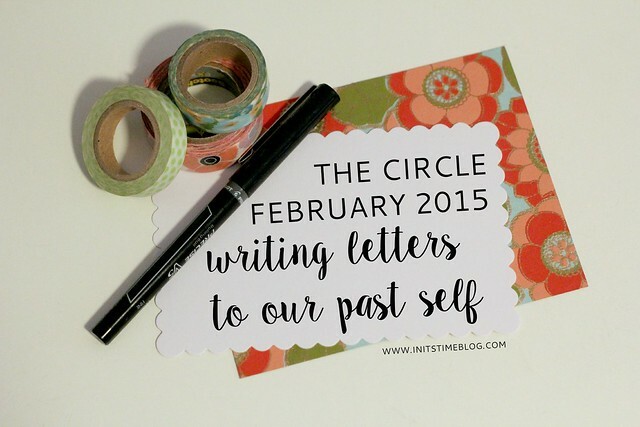 THE CIRCLE FEBRUARY 2015: A LETTER TO YOUR PAST SELF. Happy love month, friends! I'm sure that came across as wayyyy hippie-er than I ever implied, but you get the notion, right? Anyway, I'm ready to share the love and introduce you to this month's topic and more importantly, this month's co-host. Robyn is so sweet, so real, and so encouraging, too. 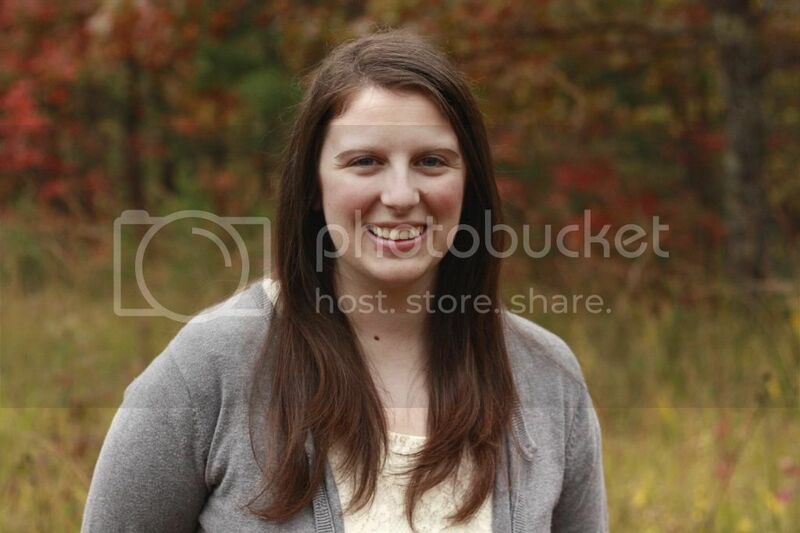 She's always been one of those bloggers that I knew was a true honest friend with a heart of gold. Oh, and she's also got a bunny, too! So if that doesn't tell you she's awesome, I don't know what will. When we were chatting about possible topics, Robyn threw out the idea of a writing a letter to our past selves. And I had to jump on that idea because I love writing letters and I also like getting sentimental and all that, too. So here come the sappy words, friends. Don't say I didn't warn you! You're a dreamer, you know that? You're a dreamer, a writer, a creative, and you have so much more inside of you than you know. You have wonderful ideas, you have beauty, and you have worth. You aren't who the magazines say you are. Your relationship status doesn't determine your worth. The scars on your face tell a story and while they're frustrating, they're real and they're a part of you. You know what does matter? Your faith. Dare to love more, dare to pursue Him. You NEED Him--especially when you think you're fine and dandy without Him. Believe in yourself. Believe in God. Believe in hope and grace and mercy. You'll need all of these things as you go through life and don't think you can go even one day without them. Jesus is really and truly the way, the truth, and the life. Start living your life, mending those broken relationships, letting go of hurt, and living. There's no more time for hurt. If you let go of it, you'll find yourself much fuller, alive, and joyful, too. To join in, please grab a button, link-up your post and then meet/chat/discover other bloggers. 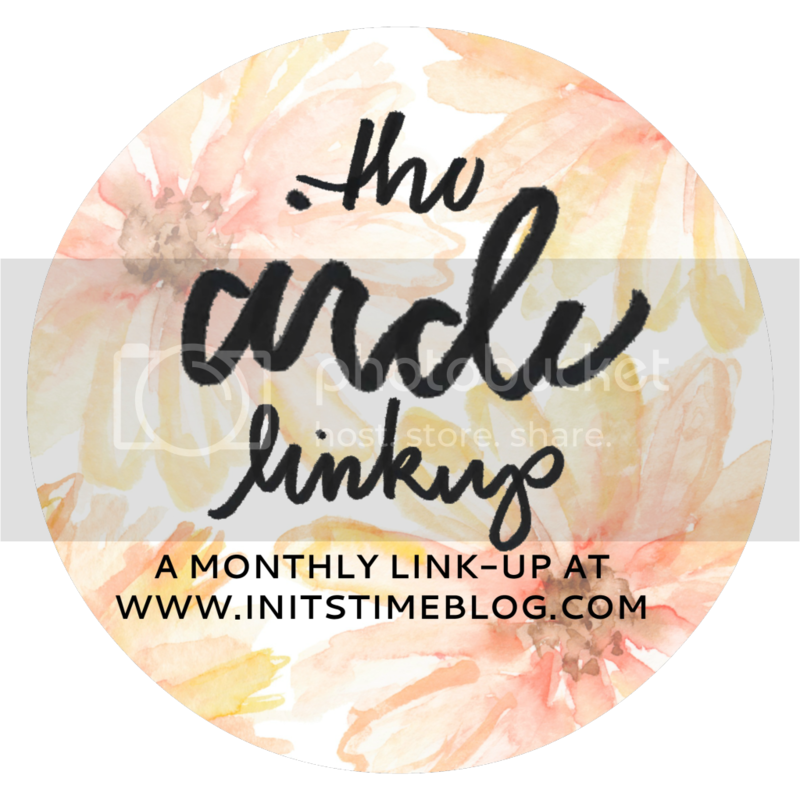 If you're social media savvy, use the hashtag #thecirclelinkup, too. Thank you so much for helping The Circle grow! Mark your calendars because next month we're sharing the stories behind our blogs and blog names! This is something that I, as a reader, really love discovering and it's something that some of us may not have written on yet or written on recently. If you have written a post already, I encourage you to go back and write a new post--has the meaning changed since you first created your blog? Do you think you would choose a new name for it? Write it up and share your responses on Wednesday, March 11th! I love your letter! If only I knew and believed "you are not who that magazines say you are" in middle school. Still something I need to remember! Love this. So much truth. If only our younger selves would listen to our older selves. Probably not. "Your relationship status doesn't determine your worth." we both have this line in our letters! :) twins! love all your thoughts and "you're not who the magazines say you are" so much truth!! Loved reading your letter. I got overwhelmed thinking about all I would say to my younger self, so I went a slightly different direction, but this was a fun (and challenging) prompt to write! Thanks for hosting, as always. I love this. I hope to write my letter soon <3 Thank you so much for encouraging this... it's a great idea! Your letter is so encouraging and wonderful. Mine's pretty much just bossy :) Thanks for another great linkup prompt - really loved thinking about this one (and seeing what everyone else has come up with!). Thanks for co-hosting with me!!! I can't wait to read yours! I love that you incorporated blogging into your letter. So smart and original! Ooh, I'm excited to see your post! I'm pretty sure if I had the chance, I'd be pretty bossy to my younger self (including telling my younger self what not to or to wear, haha!). :) Thanks for linking up! Haha totally! I thought that as I wrote my letter- like I STILL don't have a lot of the stuff figured out! I love your letter!!!! I love how your word for this year has so much to say to the younger you! :) Like I said in my letter, some things never change! And next month's theme...What a fun one!!! We've got our work cut out for us with that one! Oh, I love this, Kiki. I love that this could have been written to me and still make so much sense, but it's still so personal to who you are. Perfect. And I cannot wait to read your post next month! I'm excited to write mine, too! Thanks, Leah! I found that that was true for me for everyone else's letters (especially yours!). It was really cool to be reminded of so many truths in everyone's letters. It was such a fun topic and I'm glad you linked up! This is such a fun topic! 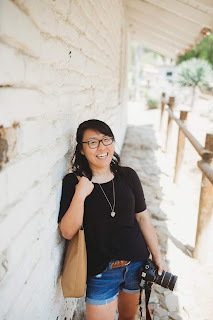 I love your letter and I have really enjoyed reading all of the heartfelt words of advice that everyone else is sharing with their past selves in their linkup-letters. Writing on this topic also made me realize that I was beyond a dreamer when I was younger...I was more on the delusional side. Ha! Great topic! Me, too! I never expected to learn SO much from everyone's letters. It has got to be one of my very faves so far in Circle history. :) I can't wait to read your post/letter!